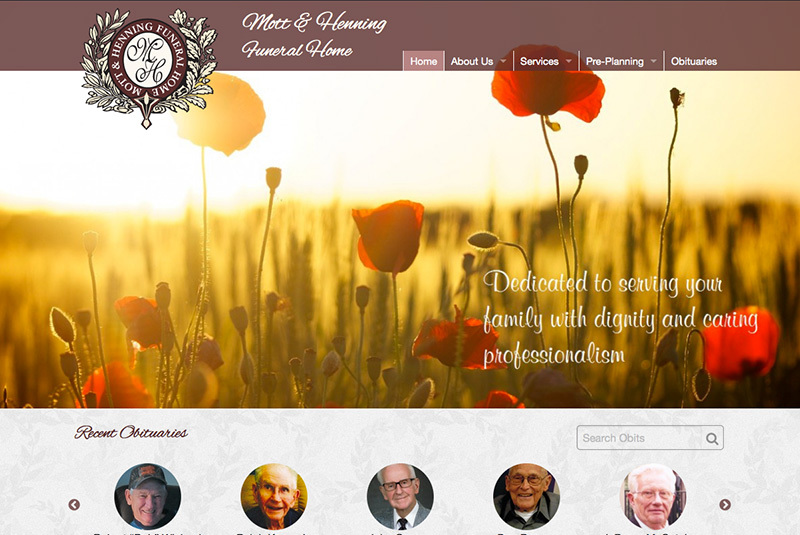 Mott & Henning Funeral Home is one of the oldest continuing businesses in Illinois. They offer traditional funeral and cremation services as well as pre-planning services. 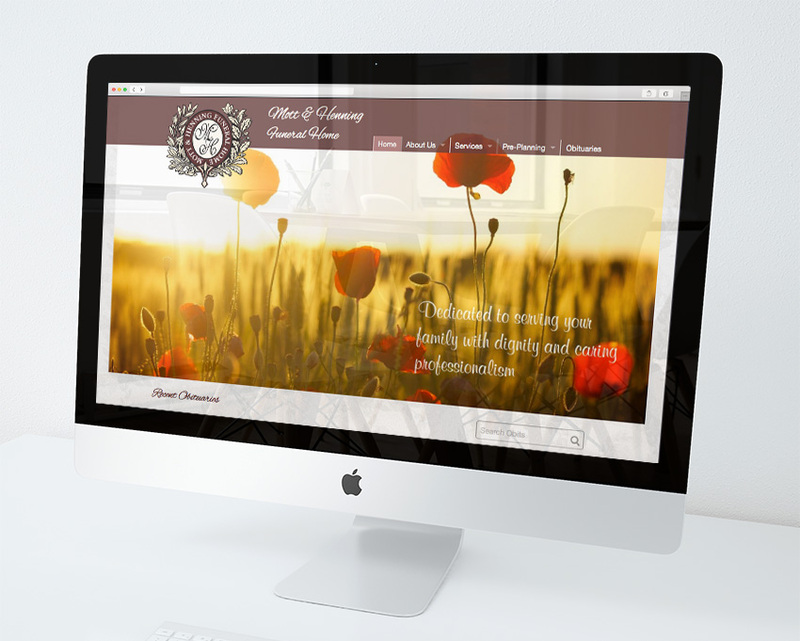 Mott & Henning Funeral Home wanted a vibrant new site design that met today’s need for ease of use on mobile devices. We built a searchable archive of obituaries and the home page features a slider of the most recent obituaries.